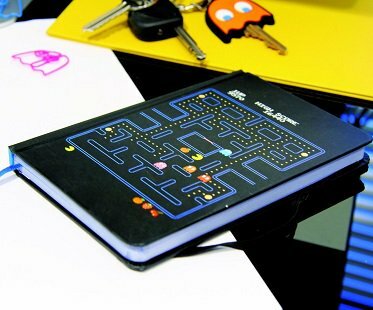 Jot down your notes it true retro style with this awesome Pac-Man notebook! Features 73 pages of lined paper with Pac-Man appearing on every right hand sheet. There's also a blue ribbon bookmark so you can keep your place and an elastic holder to keep it all together.